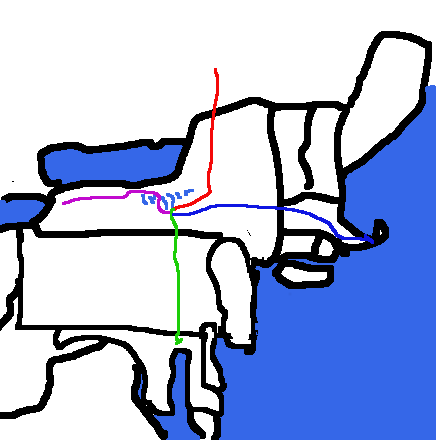 In July and August 2004 I decided to travel in such a way that from outer space my route would look like a giant "X" across the Northeastern United States. So with my intrepid (and reluctant) guinea pig I undertook 4 trips. Note map drawn freehand and is not to scale. Do not use for navigational purposes. Trip to Joppatowne, MD (With sidetrip to McSherrystown PA). Trip to Cape Cod, Massachusetts. Staying home in Ithaca, New York.